Okinawa is a beautiful attractive island with relaxing air and the sea. It is also a resort area and popular as a sightseeing spot. Varieties of delicious foods are peculiar to Okinawa. Also, Okinawa is a must see place for people who are interested in history and nature. We will introduce events that make Okinawa more enjoyable. 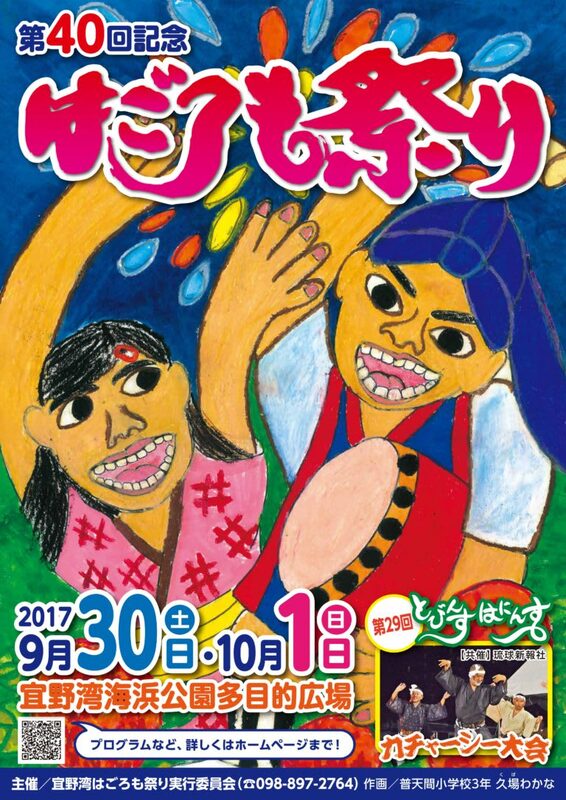 Let’s check traditional festivals and sports events held in Okinawa in October. It will be a wonderful memory of Okinawa. Why not take this opportunity to participate. “Itoman Otsunahiki” (a gigantic tug-of-war) is held on 15th August every year on the lunar calendar. It is also a shrine ritual to pray for abundant harvests, good hauls and good health. People celebrate in advance harvest by tying a male rope and female rope together dividing them north and south, and predict their fortune according to the result of tug-of-war. Hays used for making ropes weigh about 10 tons in total. The thickness of the rope is of 1.5m in diameter at the jint, with the total length 180m in total (the male rope and the female rope), and it boasts the largest in the prefecture. In Itoman the tug-of-war is held on 15th August on the lunar calendar observing the old tradition, though it is for the sake of tourists held on holidays in other towns. It takes 3 hours to make the ropes starting from 8:30 in the morning. It is worth watching. Before “Otsunahiki”, there is a parade called “Michi Zuneh” which includes dances and traditional arts led by flags. In “Otsunahiki”, two young men dressed as legendary people of Itoman called “Ichiman-maggie” and “Makabechan” confront each other at the center of the rope. After glaring at each other to raise fighting spirits, the tug of war starts. It lasts 30minites. If you pull the rope 10m or more to your side, you win. If neither party can pull 10m or more in the limited time, the party who has pulled more than 2m will win. It will be a draw if neither party can pull more than 2m. Itoman Tsunahiki won the grand prix in the completion of “Furusato Events” (home town event) among 169 participants nationwide. So it now really represents the traditional event of Itoman. The big ropes are called “Sunin-jina” and “Mannin-jina” meaning “for everyone” so that anyone can participate in the event. 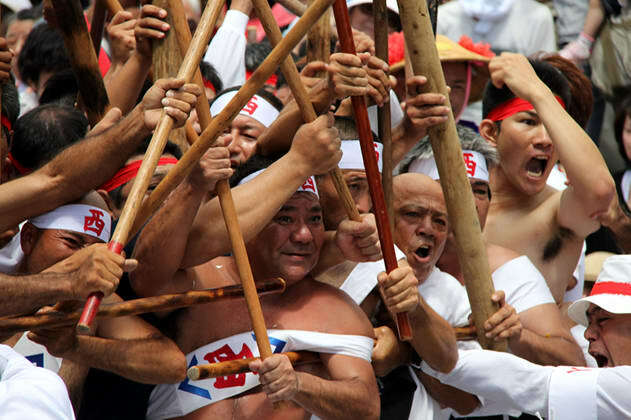 Why don’t you take this opportunity to participate in traditional events of Okinawa. This year it is the 40th Ginowan “Hagoromo” Festival which takes every year in Ginowan-City, Okinawa Prefecture. The timing of the festival has been changed from the 2nd Sunday of August to the end of September because of the increase of temperature and consideration to the health. The festival is a major event of the city that started in prayer for prosperity of Ginowan City and after the legend of “Hagoromo” (a robe of feathers). The legend goes that once upon a time in Ryukyu period a “Tennyo” (a goddess) bathed in “Mori-no-Kawa” (spring water). At the festival, there are many events such as “Satto-oh Historical Parade” which is a grand procession with about 300 people wearing a costume of the old days through “Kankai-mon” street, “Eisah” dance, a tournament of water pistols, shows by many Okinawa independent music bands. The main event is “Tobinsu Haninsu Kacharshi (dance)” where people with unique make-ups and costumes, perform mass dancing accompanied by quick shamisen music. As a finale of the festival fireworks are displayed on both days. 1,800 fireworks called “Isshaku-dama” which is rare in Okinawa, are launched for about 20 minutes. Speaking of a festival, you can have fun with “Yatai” (a street stall). In Ginowan “Hagoromo” Festival there are many street stalls surrounding the public square “Kaihin Tamokuteki Hiroba”, a main venue of the festival. You can enjoy local gourmet foods particular to Okinawa with many varieties. 30th September, 2017, 3:00p.m.- 9:00p.m. 1st October, 2017, 0:00p.m. – 9:00p.m. Every year “Maezato Otsunahiki” (a gigantic tug-of-war) is held on 16th August on the lunar calendar to pray for abundant harvests and the prosperity of descendants. “Otsunahiki” said to be the most brave and dignified in the world, takes place at “Maezato Memichi” public square in Itoman-City which used to be a horse riding ground. First “Mihnna” (a female rope) and “Uhnna” (a male rope) carrying “Shitaku” (young men in costume of legendary figures) on them enter accompanied by sounds of “Bahranku” (a drum) and “Dora” (a gong), and paper snow falls. 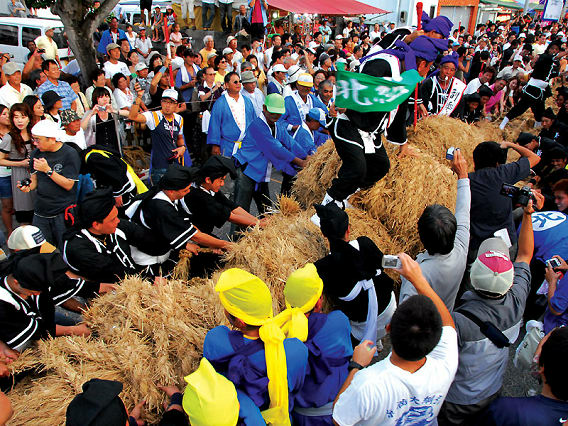 The tug-of-war starts briskly when both ropes are joined by “Kanuchi” bar. Following the tradition the West team and the East team pull the female rope or the male rope in turn year by year. To explain the size of the rope, the head part where “Shitaku” rides, has 60cm in circumference. The total length is about 100 meters: the female rope =56m & the male rope =47m without reins. The traditional festival with more than 300 years is very energetic and impressive. Spectators so much immersed in the festival enthusiasm and joy that they sometimes stay in the venue for a while even after the event. Let’s experience the ambiance of the magnificent festival. 5th October, 2017, 11:00a.m. – 9:30p.m. A marathon held in Iheya-son is literally a marathon in the evening and night. Iheya’s attraction is the unspoiled nature and rich history and legends. There are many ways to enjoy Iheya such as marine sports, natural walks, exploring historical sites and legends. Among them, you can experience a night marathon uniquely in Iheiya, enjoying the beautiful nature of the island, watching the sunset, running under the moonlight sky. The course is a generally flat course facilitating the roads by the sea. Half marathon course is also available. 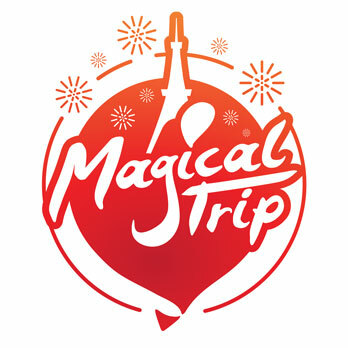 Many participants come every year not only within Japan but also from overseas. The hospitality of the islanders is appreciated on the eve of and after the event. You will be served “Mozuku-soba” (soba noodle), beef soup, “Terushi-no-kome” sake and cocktail of “Akishima” (local awamori). Speaking of the marathon, many tournaments are in the harsh weather during the daytime, but it seems easy to run in the moonlight. It is recommended for beginners who cannot stand the heat and female runners who are concerned with sunburn. 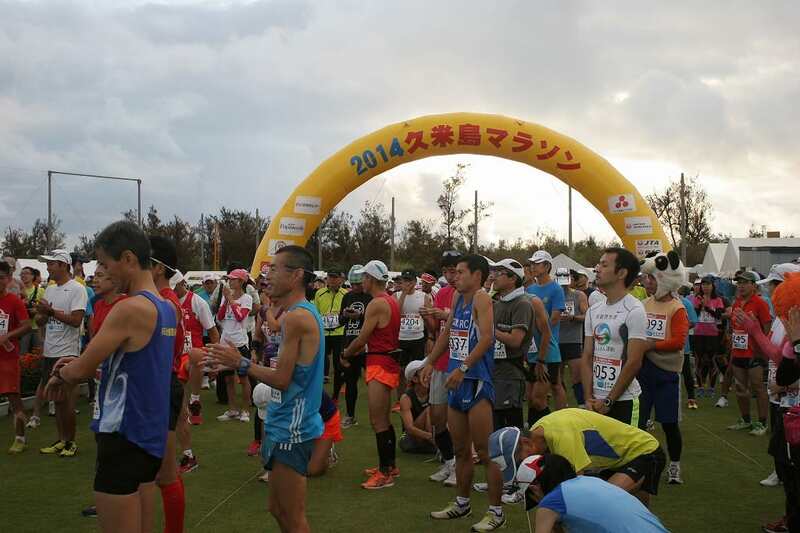 Although the entry is closed, it seems fun to cheer runners and explore the history and nature of the island. 6th October (Fri) – 7th October (Sat), 2017 3：00p.m. – 9：00p.m. “Yuai-toKenko-no-HIroba”, 300 Gakiya, Iheiya-son, Shimajiri-County, Okinawa Prefecture. Izena-jima is an island known as the birthplace of Shoen-oh”, the founder of the Dynasty of the Ryukyu Dynasty. It is a peaceful island where the original landscape of Okinawa remains, including walls made by coral stone, Fukugi tree, houses with red tile roof. “Izena 88 Triathlon” is held on this island. This year is the 30th milestone. The race consists of 2 km of swim, 66 km of bike, 20 km of run, totaling 88 km. The competition is divided into Group A, where a single person perform all 3, and Group B where each person of 3 performs one and relays to another. Either Group has the time limit of 7 hours. 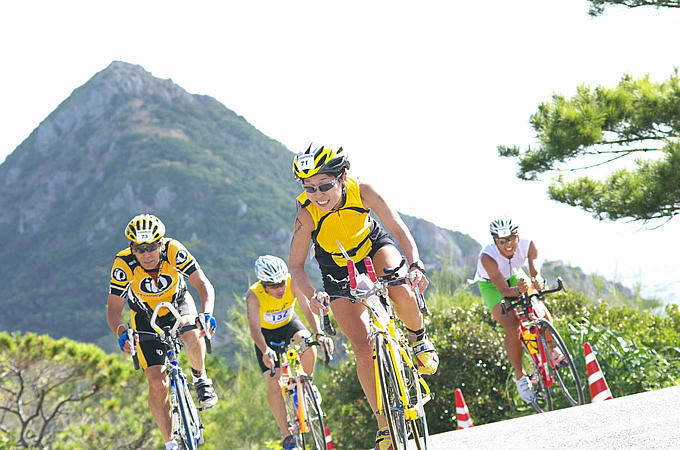 The first event is swim at Izena beach, an island’s tourist spot, then after that bike ride and run around the island. The participants challenge the limits of physical strength while enjoying the charm of the island. As a triathlon it is a course setting that will be a medium range, so that it is also easy to challenge. At “Fureai Party” (a party to appreciate the participants) after the event, the participants can enjoy get-to-know opportunity with the islanders. The following day when you leave the island, the islanders see you off. Such warm hospitality may be one of the reasons why many participants come again. Since the entry has closed for this year, will you think about a challenge next year? 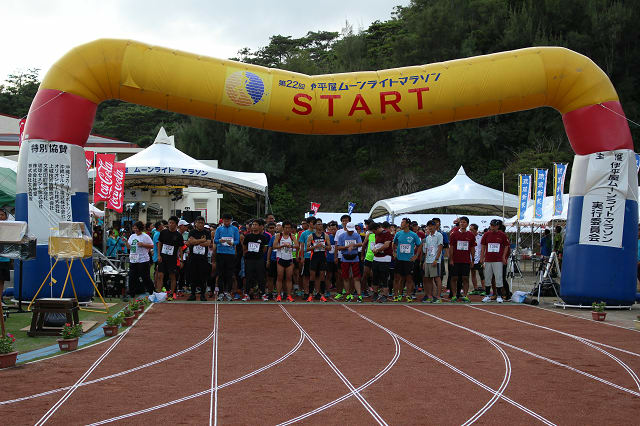 “Kumejima (marathon)” will be held this year as well. The theme is “FUN RUN” (Let’s run happily). Runners from all over the country who are trying to build physical fitness for their health by running on a regular basis including beginners and veterans compete according to the age. The course has a full marathon of 42.195 km, half marathon, 5 km and 10 km respectively. The terrain of the course has a height difference of only 20m so that many people can enjoy the marathon regardless of age. Moreover, it is possible to run while enjoying the scenery of scenic Kumejima. It is one of merits. You can make an entry until 21st September. If you visit Kumejima for sightseeing, you can cheer the runners or take a promenade and enjoy the scenery. We will introduce to you the spot where you will have panorama view of Kumejima. It is “Hiyajo Banta”. It is approximately 15 minutes by car from Kumejima Airport. On fine days, you can see as far as “Hateno-Hama” (a beach) and the islands of the Kerama-Shoto. Also, “Uegusuku Shiroato” (a castle ruins) situated at 310m high, the highest place on Kumejima is recommended for a scenic spot overlooking the beautiful island. 10km run:9:10a.m., 5km run:9:30 a.m.